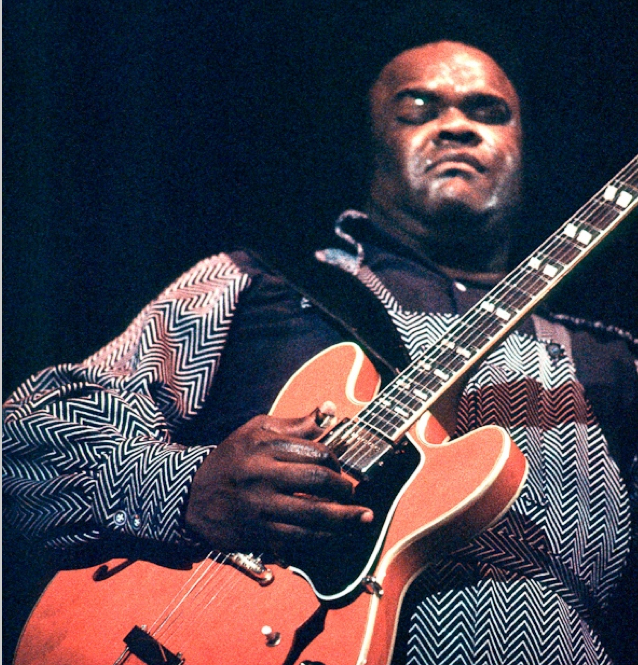 December 29, 1976 – Freddie King was born September 3, 1934 in Gilmer, Texas. His mother told him that her father (who was a full-blooded Choctaw Indian) prophesied to her that she would have a child that will stir the souls of millions and inspire and influence generations. So she mother and his uncle Leon began teaching him to play guitar at the age of six. December 4, 1976 – Thomas Richard “Tommy” Bolin was born August 1, 1951 in Sioux City, Iowa from a Swedish father and a Syrian mother. August 29, 1976 – Mathis Jimmy Reed was born on September 6, 1925 on a plantation in or around the small burg of Dunleith, Mississippi. He stayed around the area until he was 15, learning the basic rudiments of harmonica and guitar from his buddy Eddie Taylor, who was then making a name for himself as a semi-pro musician, working country suppers and juke joints. May 14, 1976 – William Keith Relf was born on March 22, 1943 in Richmond, Surrey, England. As a teenager he latched onto American rhythm and blues and became influenced by the likes of Sonny Boy Williamson and the Chicago Blues scene. Relf started playing in bands around the summer of 1956 as a singer, guitarist, and harmonica player. Despite his suffering from respiratory problems, his blues harp became a key part of the Yardbirds’ sound and success, according to many, and his vocals may have been as important a contribution to the band as the trio of worldfamous guitar players that joined the band. When people remember the Yardbirds, as the British blues-based band that came to prominence in the mid to late 60s, what they remember most is the triumvirate of guitar players that used the group as a to stardom: Eric Clapton, Jeff Beck, and future Led Zeppelin founder Jimmy Page. While there is no doubt that these now world-famous guitar gods contributed greatly to the Yardbirds’ sound, another less-famous member gave the group voice, performing presence, and direction. That man was Keith Relf. 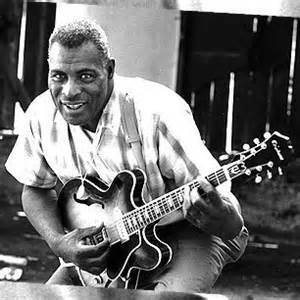 They drew their repertoire from the Chicago blues of Howlin’ Wolf, Muddy Waters, Bo Diddley, Sonny Boy Williamson II and Elmore James, including “Smokestack Lightning”, “Good Morning Little School Girl”, “Boom Boom”, “I Wish You Would”, “Rollin’ and Tumblin'”, and “I’m a Man”. A record contract followed, and soon the band, guided by the restless and substance-friendly Relf, drifted away from R&B. Subsequent hit songs suggested beatniks with harpsichords (“For Your Love”), melancholy monks (“Still I’m Sad”), and acid-soaked Romany (“Over Under Sideways Down”). Clapton left the band, and Jeff Beck and Jimmy Page joined, pushing the group deeper into psychedelic byways of fuzztone and distortion. Although Relf persevered, his attitude towards the high-powered guitar music that defined the group began to change. Exhausted from extensive touring and suffering from asthma, Relf wanted to sing gentler, more thoughtful music. By 1968, the Yardbirds’ end was at hand. That year Relf dissolved the group, became a record producer and sideman, and began a new stage of his musical career just before his early death. 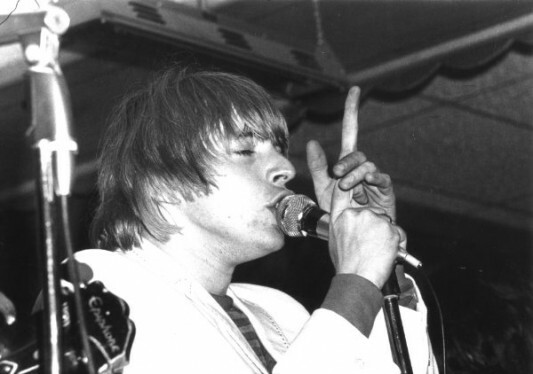 Keith Relf’s first post-Yardbirds group was Together, an acoustic duo with fellow ex-Yardbird Jim McCarty. Their Simon and Garfunkel-inspired music failed to catch on, however, and Relf formed a new band with his sister Jane called Renaissance. The group was indeed a renaissance for Relf, allowing him to explore his psychedelic and acoustic leanings freely over the course of two albums with much singing by his beautiful sister Jane. But difficult and unrewarding touring wore them down, and Relf dissolved the first incarnation in 1970. (Led by vocalist Annie Haslam, the group’s second, more progressive incarnation became a fixture of the 70s music scene.) Relf stayed active in the early 70s as a producer and occasional player. He produced tracks for bands such as the acoustic, world music, group Amber, Saturnalia and Medicine Head, with whom he played bass guitar. In 1975 he founded a heavy metal group called Armageddon. Energized by the group into delivering some of his best vocals on record, Relf looked poised for new success. Sadly, this was not to be. Dogged by ill health, Relf broke up the group and went home to recuperate. Instead, he met an ironic end. The man “who left the Yardbirds largely because of electric guitars” died on May 14, 1976, from being fatally electrocuted by an improperly grounded electric guitar, while rehearsing new material for the formation of his new band Illusion. He was only 33 years old. He was posthumously inducted into Rock and Roll Hall of Fame in 1992 with the Yardbirds. 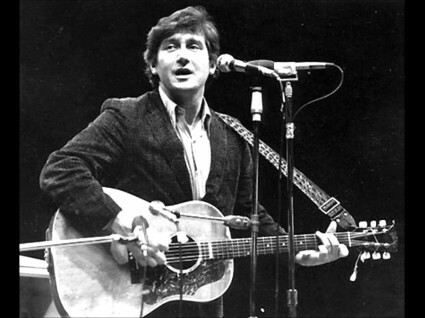 April 9, 1976 – Phil Ochs was born on December 19, 1940 in El Paso, Texas. Being a 1960s protest singer-songwriter he wrote hundreds of songs and released eight albums. Politically, Phil described himself as a “left social democrat” who became an “early revolutionary” after the protests at the 1968 Democratic National Convention in Chicago led to a police riot, which had a profound effect on his state of mind. He performed at many political events, including anti-Vietnam War and civil rights rallies, student events, and organized labor events over the course of his career, in addition to many concert appearances at such venues as New York City’s Town Hall and Carnegie Hall. March 26, 1976 – Duster Bennett was born Anthony Bennett in in Welshpool, Powys, Mid Wales on September 23rd 1946. As a kid he was very interested in the blues and developed as an exceptional blues singer and multi-musician. After moving to London, he became a session musician in the early 60s. His first solo album (one of five before his death) “Smiling Like I’m Happy” saw him playing as a one-man blues band whose virtuosity and co-ordination on drums, his Les Paul Goldtop guitar and harmonica was as riveting as it was unique, while he was backed by girlfriend Stella Sutton, the first and original Fleetwood Mac singer, on three tracks. His live sets combined his own compositions with Jimmy Reed-style blues standards often aided by friends Peter Green and Top Topham. Emerging in the late 1960s from the art school music scene of Kingston-upon-Thames and Guildford, Bennett was a one-man blues band, in the style of bluesmen such as Joe Hill Lewis. Between 1968 and 1970 he was played frequently on John Peel’s Top Gear, toured and eventually joined John Mayall’s Bluesbreakers as band member/solo act on a US tour in 1970. In the 1970s he drifted off into more mainstream material. His haunting track Jumping at Shadows, was first covered by Fleetwood Mac and revived in 1992 by Gary Moore, who covered it in his “After Hours” album. After performing with Memphis Slim, he died in a fatal road accident; tired at the wheel, his van collided with a truck on March 26, 1976. He was 29. March 18, 1976 – Luther “Snake Boy” Johnson was born Lucious Brinson August 30, 1934 in Davisboro, GA. He was raised on a farm where he taught himself to play guitar. After service in the US Army up to 1953, Johnson played guitar with a local gospel group called the Milwaukee Supreme Angels. However, he gradually moved towards blues and set up his own trio in Milwaukee, Wisconsin, before relocating to Chicago, Illinois in the early 1960s. He backed Elmore James prior to his death, and in 1964, released a solo single on the Chess Records label entitled “The Twirl”, billed as Little Luther. He then joined Muddy Waters’ backing band in 1966. Johnson worked with various musicians over this period, including Chicago Bob Nelson, before recording his debut album, Come on Home in 1969. In 1970, Johnson moved to Boston, Massachusetts, and found work on the blues festival and college circuits for the next few years. Black & Blue Records released Johnson’s Born in Georgia in 1972, and this was followed by Chicken Shack (1974), Lonesome in My Bedroom (1975), and the final album issued in his lifetime, Get Down to the Nitty Gritty (1976). Johnson died of cancer in Boston in March 1976, aged 41. March 19, 1976 – Paul Francis Kossoff (Free) was born September 14, 1950 in Hampstead, London. He was gifted with the performance gene from birth. His father, David, was a well-regarded film and television actor who would go on to win Most Promising Newcomer to Film at the 1955 BAFTA award ceremony. As much as Kossoff loved the guitar, the classical lessons grated on him, and he gave them up after a few years. His guitar sabbatical was short lived, however. Kossoff caught a performance by Eric Clapton at a John Mayall gig in 1965, and after seeing what Clapton was doing with the blues, his passion for the guitar was reignited. He resumed lessons, this time with noted session musician Colin Falconer. Clapton became a looming figure in the young guitarist’s mind, and Kossoff went out of his way to emulate Slowhand. Kossoff’s first electric guitar was a cheap gold knockoff model made by the Italian manufacturer Eko that simply wouldn’t do. Looking to upgrade, Kossoff took a job at the venerable London music shop Selmer’s, where he came face to face with some of the day’s leading players. Kossoff was eventually able to purchase his first Gibson guitar. “I got myself a Gibson Les Paul Junior, which was the cheapest Gibson around at the time,” he said. “Then I had this obsession about getting a ‘real’ Les Paul after seeing Jeff Beck and Eric Clapton play them.” The real Les Paul he eventually acquired was a black 1954 Custom equipped with dual P-90 pickups, an instrument allegedly owned and played by Clapton himself. The guitar became his prized possession, and he spent hours bent over it, mastering the many blues licks and solos he’d come to love. In the 1960s, England was up to its eyeballs in white-boy blues bands. This was the golden age of the guitar player, when people like Clapton, Beck, and Page became recognized names the world over. But for every Cream, Yardbirds, or Led Zeppelin, there were scores of other groups working the same circuit, trying their damndest to break through. Free was such a band. Between Paul Rodgers’ wailing, Simon Kirke’s tremendous backbeat, and the steady bass lines of Andy Fraser, Free had more than enough talent. BUT they had another weapon: Paul Kossoff, a player who brought it all together and elevated their music into the stratosphere. Kossoff didn’t have the dexterity of Clapton, the finesse of Beck, or the bombast of Page, but he had an innate knowledge of how to do more with less, an instinct to make each note matter musically and emotionally. He started playing in the mid 1960s, his first professional band was Black Cat Bones with drummer Simon Kirke. The band did many supporting shows for Fleetwood Mac. Paul spent hours jamming with Mac founder Peter Green and discussing blues music. Black Cat Bones also played with touring blues piano player Champion Jack Dupree. Both Paul and Simon played on Dupree’s album When You Feel the Feeling. Paul and Simon next teamed up with Paul Rodgers and Andy Fraser to form Free in 1968 with a debut album Tons Of Sobs, followed by their self-titled album in 1969. Their third album, Fire and Water in 1970, produced the massive hit “All Right Now”, with a tour of UK, Europe and Japan. The band split later that year after a 4th album. Paul and Simon then teamed up with Texan keyboard player John “Rabbit” Bundrick and Japanese bass player Tetsu Yamauchi to release the 1971 album Kossoff, Kirke, Tetsu and Rabbit. Free reformed and released the album Free At Last in 1972. Fraser decided to quit, so Tetsu and Rabbit were drafted in for Free’s 1973 album Heartbreaker after which the group disbanded. Paul then accompanied John Martyn on a 1975 tour before assembling a group called Back Street Crawler releasing two albums: The Band Plays On in 1975 and Second Street in 1976. Kossof’s guitar playing was also much in demand for session work and he contributed solos on several albums including: Jim Capaldi’s Oh How We Danced (1972), Martha Veléz’s Friends and Angels (1969); Blondel’s Mulgrave Street (1974); Uncle Dog’s Old Hat (1972), Michael Gately’s Gately’s Cafe (1971) and Mike Vernon’s 1971 album Bring It Back Home. He also played on four demos by Ken Hensley, which were eventually released on the 1994 album entitled From Time To Time and three tracks which appear on the CD-only issue of John Martyn’s Live At Leeds album from 1975. An unreleased guitar solo also surfaced in 2006 on the title track to the album All One by David Elliot who recorded with Paul in the 70s. Paul was ranked 51st in Rolling Stone magazine list of the “100 Greatest Guitarists of All Time”. Sadly, Kossoff died from a drug-related heart attack on March 19, 1976 at age 25 during a flight from L.A. to New York, robbing the world of a unique talent. His memory lives on through his music and through the longtime anti-substance abuse efforts of the Paul Kossoff Foundation. The members of Free were remarkably young when they formed the group. Kossoff was 17, Rodgers and Kirke were 18, and bassist Andy Fraser was a mere 15. Despite this, each member already had a taste for the road after serving in other bands. With a little help from Korner, Free inked a deal with Island Records. Their first album, Ton of Sobs, was in the canwithin six months of the band’s formation. For the sessions, Kossoff brought out a duo of Les Pauls, including a now-fabled late-era sunburst model, which was later stripped and painted black, as well as a black three-pickup custom. Along with the likes of Clapton, Page, and Keith Richards, Kossoff did much to popularize the defunct ’burst line of Les Pauls. After completing their first album, Free went on the road to try and make a name for themselves. Dwarfed by a column of Marshall stacks—Super Lead heads and 4×12 cabinets with bass speakers installed—Kossoff managed to make up for his diminutive height through sheer volume. Not long after Tons of Sobs was released, the band was back in the studio working on its second record, the self-titled Free. This time the group was produced by the president of the label, Chris Blackwell. Things were much tighter, with the main songwriting duo of Rodgers and Fraser imposing a stricter framework. Like the band’s debut, Free didn’t do much on the charts. Almost immediately after they finished recording, the group resumed its breakneck touring schedule, supporting the supergroup Blind Faith on its only American tour. Kossoff and Clapton became quite close, discussing the finer points of their respective techniques and even trading a couple of guitars. Clapton exchanged a 1959 Gibson Les Paul for Kossoff’s mid-’50s Custom. It was on this tour that Clapton supposedly tried to cop Kossoff’s famed vibrato technique, a tale confirmed by Rodgers. “I wasn’t privy to the actual conversation, but they did talk vibrato, that’s for sure,” he says. As the ’60s gave way to the ’70s, Free reached a tipping point. They’d recorded two albums, experienced modest success, and performed a truly staggering number of live shows. But the band began to wonder where they would ever actually make it. Then in June of 1970, Fire and Water hit the shelves with the force of an atomic blast. The record became Free’s breakthrough, led by the single “All Right Now,” which reached No. 2 on the U.K. charts and No. 4 in America. Just two months later, Free played the biggest gig of their career in front of an estimated 600,000 people as part of England’s Isle of Wight Festival. With greater success came new tensions. Feeling pressure to prove that their success wasn’t a fluke, the band rushed to record its next album, Highway. Compared to Fire and Water, Highway was a commercial disappointment, only reaching No. 41 on the U.K. charts and 190 in America. Meanwhile, Kossoff, depressed by the death of his hero Jimi Hendrix, began self-medicating with Quaaludes. The band managed to record a few albums during its brief resurgence: 1971’s Free Live and the studio efforts Free at Last and Heartbreaker in ’72 and ’73, respectively. Their tours, however, were hampered by Kossoff’s unreliability. The band called it quits for good in 1973. Kossoff immediately began working on his first solo record, Back Street Crawler, which featured guest appearances by his former Free bandmates as well as Alan White of Yes. The record was widely acclaimed but didn’t live up to the popularity of Free’s music. Kossoff then formed a band named Back Street Crawler and released The Band Plays On in 1975. Back Street Crawler embarked on a headlining tour of the U.K. in 1975, but it was cancelled midway through when Kossoff developed a debilitating stomach ulcer. While getting treatment, Kossoff suffered a massive heart attack. It took the doctors 30 minutes to revive him. Once out of the hospital, Kossoff went back on the road with his band, which subsequently recorded another album titled 2nd Street in 1976. In his weakened state, Kossoff was no longer able to perform to the level everyone expected, so most of guitar parts were played by session guitarist W.G. “Snuffy” Walden. Kossoff’s father David set up the Paul Kossoff Foundation to raise awareness about substance abuse. Rodgers purchased one of Kossoff’s ’59 Gibson Les Pauls and later auctioned the instrument, donating the proceeds to the Foundation. Paul Kossoff wasn’t the flashiest guitar player on the planet, and in the years since his passing, his name has been dwarfed by those of some of his contemporaries. He may not have been the fastest shredder, but he’s certainly among those legendary players who become one with the instrument. “One of the great things about Koss was that he played every note like his life depended on it,” declared Rodgers. “He was so passionate about his playing.” That passion shone through on record as well as onstage. 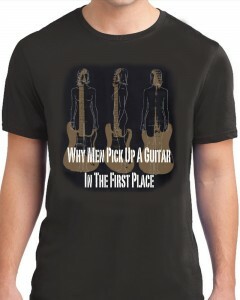 It’s what set Paul Kossoff apart, and is the reason he should never be forgotten. Feb 22, 1976 – Florence Ballard Chapman (The Supremes) was born Florence Glenda Ballard on June 30th 1943. Named “Blondie” or “Flo” by family and friends, Ballard attended Northeastern High School and was coached vocally by Abraham Silver. Ballard met future singing partner Mary Wilson during a middle-school talent show and they became friends while attending Northeastern High. From an early age, Ballard aspired to be a singer and agreed to audition for a spot on a sister group of the local Detroit attraction, The Primes. After she was accepted, Ballard recruited Mary Wilson to join Jenkins’ group. Wilson, in turn, enlisted another neighbor, Diana Ross, then going by “Diane”. Betty McGlown completed the original lineup and Jenkins named them as “The Primettes”. The group performed at talent showcases and at school parties before auditioning for Motown Records in 1960. Gordy advised the group to graduate from high school before auditioning again. Ballard eventually dropped out of high school though her group mates graduated.